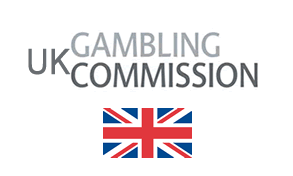 The UK Gambling Commission was established in 2005 under the Gambling Act and assumed full powers in 2007. The body serves the role of regulating UK online casinos, bingo, slot machines, betting, and arcades in Great Britain. The commission was also recently taxed with regulating lotteries, after the National Lottery Commission became part of it in 2013. The body, however, does not regulate spread betting, a role played by the Financial Conduct Authority. Additionally, the Gambling Commission oversees legal UK online betting or wagering through telephone, mobile phones, and other communication devices. The Commission’s major objective is to ensure that all kinds of gambling activities in the country are crime-free and are conducted openly and fairly so as to protect the participants, children, and vulnerable people. The Gambling Commission issues licenses to various gambling operators whose gambling equipment is located in the U.K. territory. Gambling operators located outside the UK but who wish to advertise their services in the country are required to obtain a license from the body. Some gambling jurisdictions, however, are whitelisted by the commission. Whitelisted gambling jurisdictions refers to jurisdictions that are allowed to advertise their gambling services on the UK territory. Section 331 of the Gambling Act prohibits all territories, countries and jurisdictions located outside the UK and Gibraltar and are not part of the EEA to advertise their gambling services in the country. An exception has, however, been made for jurisdictions that have demonstrated they meet the requirements set out by the Gambling Act 2005. For these jurisdictions, their governments are required to submit certain representations to the UK Secretary of State who determines whether to allow the operators to advertise their services in UK territory. There has been a lot of controversy surrounding the proposed changes to the regulatory processes for online gambling operators located outside the UK. Under the new proposed regime, the UK will open its market to operators based anywhere in the world, some of whom will not be required to obtain a license. Many UK operators are opposed to the changes because they feel UK consumers will be left exposed and might resort to gambling on illegal online sites. The Gambling Commission is tasked with enforcing compliance with the Gambling Act 2005 by ensuring that all gambling licensees act in accordance with its requirements as well as with other standards and regulations. The commission has the legal right to visit licensed premises and scrutinize their gambling and financial activities. The Gambling Commission’s specialists can issue various recommendations and amendments based on their findings. The Commission can also decide to set new license conditions or revoke them. In some cases, the Commission can take punitive action to correct non-compliance with the requirements of the Act. The Commission is also authorized to take various regulatory actions against gambling operators found to breach the rules in any way. This includes issuing warning to the operators, inflicting fines, or revoking their licenses. The Gambling Commission has its own Intelligence Department that collects information about any illegal gambling activities that are conducted in the country. The body collaborates with the police and various UK organizations where suspicious gambling activity is detected. More about UK gambling laws.